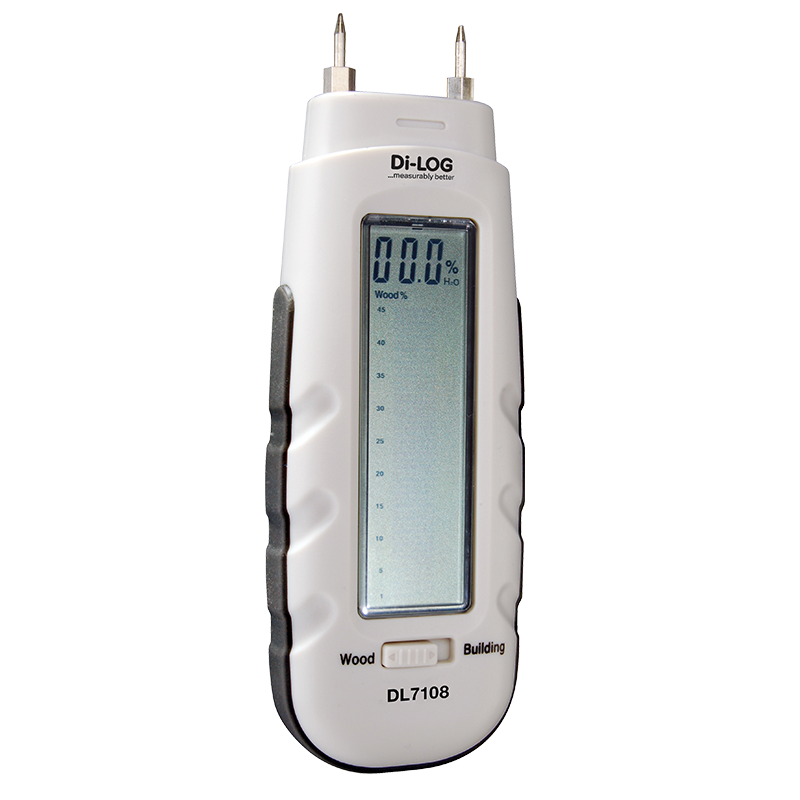 Digital Moisture Meter The DL7108 enables testing of moisture levels in sawn timber, cardboard, paper, plaster, concrete and mortar. The large LCD display and analogue bar graph provide clear visual readings. The large LCD display and analogue bar graph provide clear visual readings.